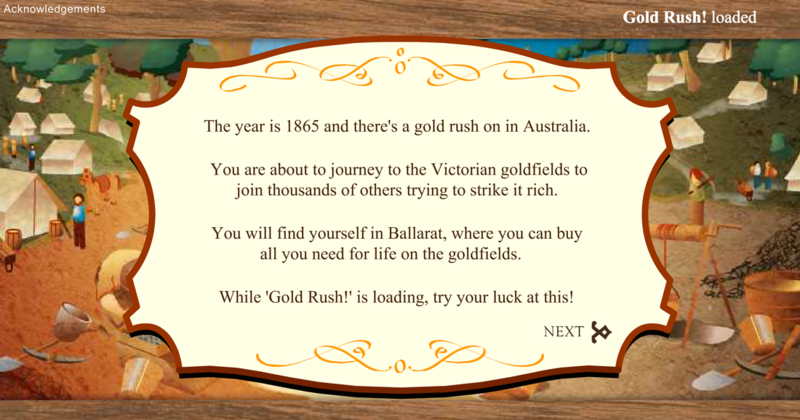 Play the Gold Rush interactive. Answer these questions along the way. How much did a mining permit cost? What tools did you need for Alluvial Mining? Shaft Mining? Why was life on camp 'uncomfortable'? What type of supplies do miners need? How many ounces of gold did you find? What was the value of your gold? Was it worth the 30 days of effort? Why/Why not?